Are you tired of traditional Christmas stockings? 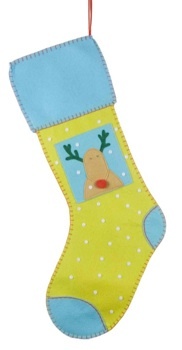 Take a look at our retro-chic Rudolph felt stocking. 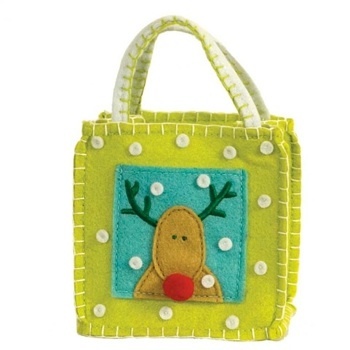 Made of non-traditional lime green and robin egg blue eco-chic felt & complete with a puffy red nose, he’ll keep an eye (and a nose) on your stocking stuffers. 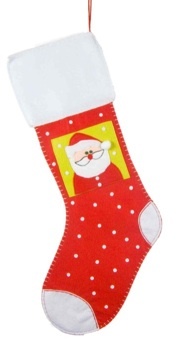 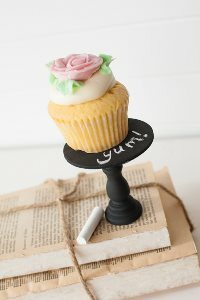 It’s the perfect unique stocking for the retro or unique Christmas.